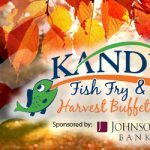 KANDU Industries Inc.KANDU's Fish Fry & Harvest Buffet - KANDU Industries Inc.
Join us as we celebrate or nation’s veterans during the last Fish Fry event of the year. KANDU will honor Veteran’s Day with FREE meals for veterans during November 10th’s Fish Fry & Harvest Buffet at The Armory. From 5:00 to 7:30pm, this all-you-can-eat buffet features Best Events’ famous beer-battered cod, along with six additional entrée options including sliced turkey, grilled chicken and BLT mac and cheese. A delicious selection of seven sides and salads are also available, along with included beverages. Desserts and cash bar will be on hand for purchase, along with opportunities to win raffle prizes. Dinner is $12.95 for adults (ages 12 and up), $7.95 for kids (4+) and free for children 3 and under. If you are interested in helping us provide free meals for veterans, become a $100 Table Sponsor! 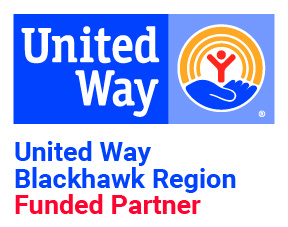 Call Kristin at (608) 755-4123 x308 for more information on how to receive 4 dinners plus recognition throughout the evening. Click here to follow the event on Facebook and view the complete menu.